Even when your life is full of colour, remember the simplicity of black and white. On February 5th, we released three new acrylics to our product line. 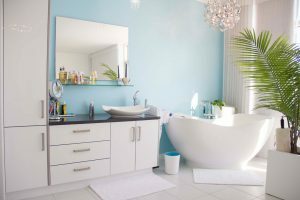 The Decor team first announced the new releases at The Kitchen & Bath Industry Show (KBIS) in January in Orlando. With its durability and scratch resistant qualities, the new Pure White Eurogloss acrylic is sure to please, featuring high-quality style that will complement any kitchen or bathroom. Meanwhile, our new Pure White and Black Euromatt’s offer a fingerprint resistant finish which is as practical as it is attractive. A modern look that makes for a versatile design. 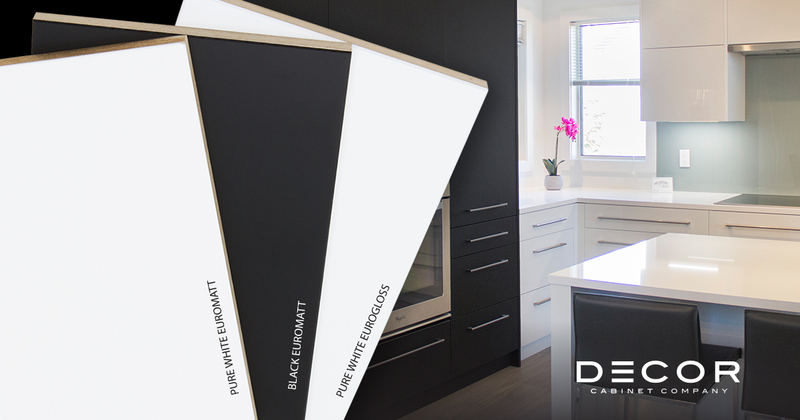 Choose from our three new acrylic colours for your cabinets and add elegance and sophistication to any space. LP11 with matching or 3D aluminum banding. Over the last 40 years, Decor has built a reputation for superior quality and exceptional style, with experienced designers, premium materials, and strict quality control practices. Beauty, craftsmanship, professionalism and care — these are the result of the Decor difference and what make us #UndeniablyDifferent.